I must open this by giving Elmore Leonard credit. He’s a truly great writer, enough so that I suspect he’d encourage an analysis of his advice. I will do a series of these posts. I’d intended to start with Rule 1 (don’t start with the weather) but the preface caught my attention. “These are rules I’ve picked up along the way to help me remain invisible when I’m writing a book, to help me show rather than tell what’s taking place in the story. If you have a facility for language and imagery and the sound of your voice pleases you, invisibility is not what you are after, and you can skip the rules. 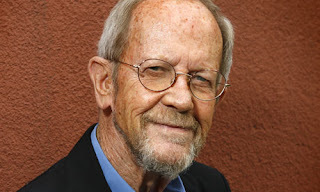 Still, you might look them over.” Elmore Leonard’s 10 Rules of Writing, preface. I was invited to a reading and Q&A session with Christopher Priest a couple of weeks ago, and I asked him what to do when you’re lost in a story. I had begun my novel without plotting and, far worse, without conviction. I thought I’d figure out what story I wanted to tell if I just leapt in with an interesting character. I explained my predicament and asked what a good author’s approach might be. “Character,” he said. There was more to his answer, but that was the gist. Back to Elmore Leonard: “if… the sound of your voice pleases you”. How about the sound of your character’s voice? “The story which is the first person narrative of the main actor can have no objective, stage-like scenes at all; it is all impression, personalised, psychological.” The Technique of the Novel, Thomas H. Uzzell, p. 98. It might seem strange at first, but think about it. You’re in a character’s head. If two other characters are talking, and all your description is action, the interpretation of what’s said is still, if the story is well written, all in your main character’s head and thus their voice. If you’ve done a good job, the reader loves the sound of their voice, and anything else, including objectivism or invisibility, would detract from the quality of the narrative. I’m always talking about what you’ve promised the reader. 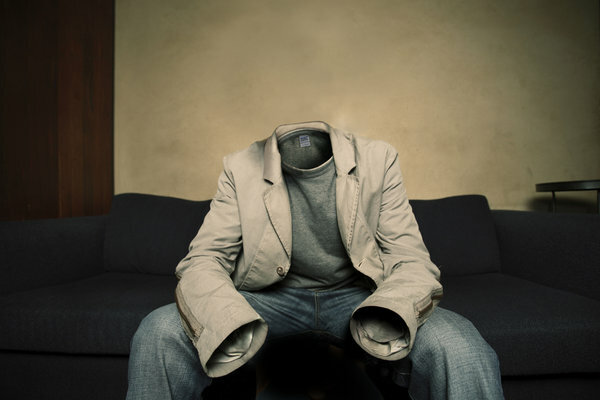 If you’ve promised a character’s voice, then invisibility is a break of that promise. You can “never take the reader where the reader wants to go” (Solutions for Writers by Sol Stein, I forget the page), but it’s rather pedestrian advice in my opinion. It lacks grounding in psychology, and if you’re looking for emotional effect, reader psychology is everything. Scott told me to “maintain the urgency of a single premise,” which certainly requires starting a book with conviction (punches face), and it’s a greater truth. Go ahead and surprise your reader with the plot, but meanwhile ensure that the promises you’ve made to the reader are kept. Taking the example of a twist in the tale (tail?) ending, Sol Stein’s advice, without the aforementioned psychological understanding, gives you a “what the smeg?” emotional effect, as opposed to any potency. Stein isn’t wrong. He’s just failed to explain properly. Before I lose the point entirely, let me bring this post back the promise I made at the start, about a story’s voice. There is an author/teacher I’m not fond of (as a person–she’s a decent, though be no means exceptional writer) who centres tuition around a story’s voice. She’s referring to making a story unique. That’s a good point, but it misses the psychological issues. The reader wants to know what’s happening between the characters. Readers naturally follow human minds, not stuff that happens. That stuff is made enticing by the humans involved in it. That’s the difference between a story and a bland account of events. Every story has a voice, because as readers we follow a person through events. This can, of course, be a different person in every scene, or even every other paragraph. So long as the reader knows where they are (doesn’t have the “what the smeg?” reaction) and interest is maintained, there are no rules. There is only understanding. Leonard’s stories do not lack a voice. In fact, most of his fiction is in very close POV, which is not to say it’s first person. (Closeness of POV doesn’t require or even imply that.) Leonard should be, and probably is, just talking about keeping his voice out of the narrative. That will make his ideal valid, but it also opens all of his rules up to a plethora of potential misunderstandings and, in my opinion, necessary criticisms. Just to clarify, and again give due credit to a great writer, Leonard’s rules are all worthy of consideration. Every author invents their own way of considering the craft, and it isn’t even that we’re doing different things. We’ll just define them differently. Scott Bradfield thinks in terms of POV and narrative time. The person I dislike thinks in terms of voice. Leonard thinks in his own way. Every good writer will have the same things in mind, which is evocative manipulation of a reader psychologically. That’s why there’s no such thing as scale in good speculative fiction. A human’s trials with a mirror can be as potent as a new universe, and every inch as speculative. A great writer can turn a pebble into an atom bomb. I’m going to write a series of posts on Leonard, but I want to clarify that I do so not to contradict him, but rather to help clarify his rules. I believe we cannot truly understand a thing unless we understand the reasoning behind any exception. Certainly not in the arts, which inherently lack rules. Elmore Leonard, you’re a legend. Again I have to clarify that I’m a huge fan of Leonard’s and all my friends are quite familiar with my lengthy rants about why he’s awesome. I wouldn’t have decided to do these posts had his rules not inspired me to think a great deal about the art of writing, which was, surely, his intention.